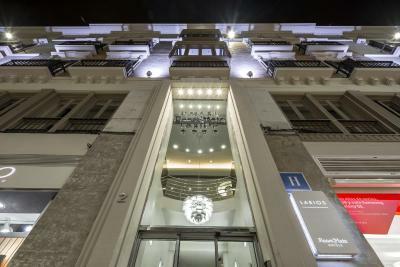 Lock in a great price for Room Mate Larios – rated 8.9 by recent guests! Central location with lots of restaurants and shops close by. Check in staff was super helpful and the room itself was outstanding with views to the square below. 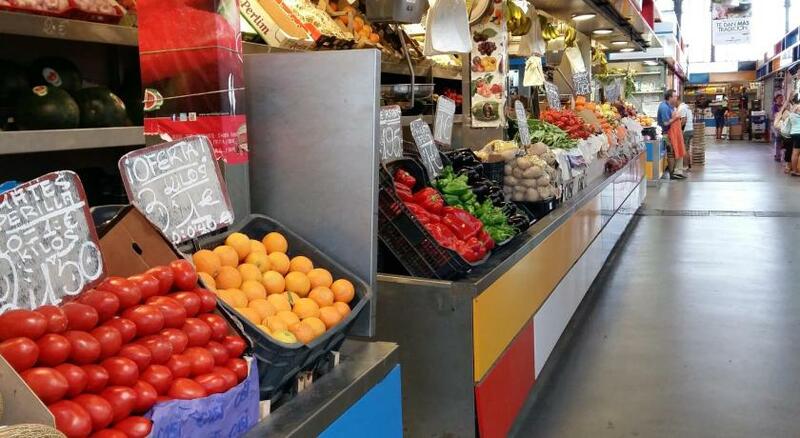 All the staff were very helpful, friendly and efficient and spoke English well. The breakfast choices and standards were exceptionally good, the beds were very comfortable with luxurious choice of pillows and the roof terrace was a stunning bonus. The proximity was awesome! A perfect spot to explore! The roof top bar at sunset was spectacular. Room was very comfortable. Beds were awesome. Rooftop lounge with the view of cathedral was amazing. the room is a bit noise since it is on the very busy pedestrian walk. i recommend having double isolated glass to avoid noise in the room. 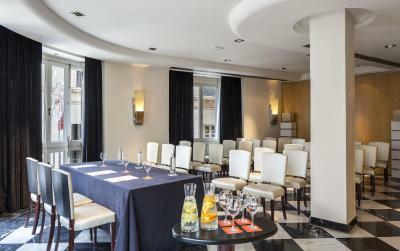 Room Mate Larios This rating is a reflection of how the property compares to the industry standard when it comes to price, facilities and services available. It's based on a self-evaluation by the property. Use this rating to help choose your stay! 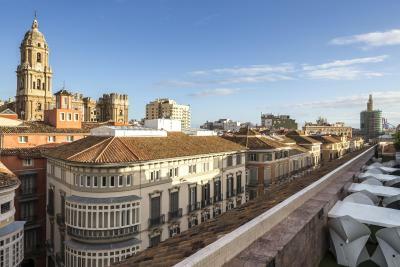 One of our top picks in Málaga.This boutique hotel has Art Deco design and rooms with free WiFi and an LCD TV. 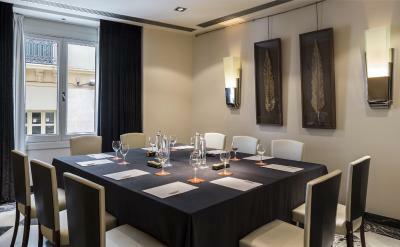 Room Mate Larios is just minutes from Malaga’s Picasso Museum. 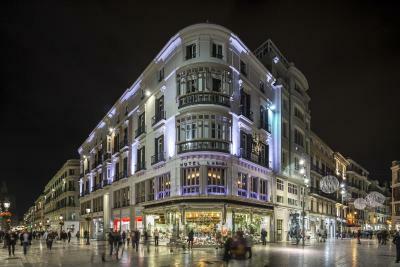 Larios is located on a pedestrian street in the commercial heart of Málaga. 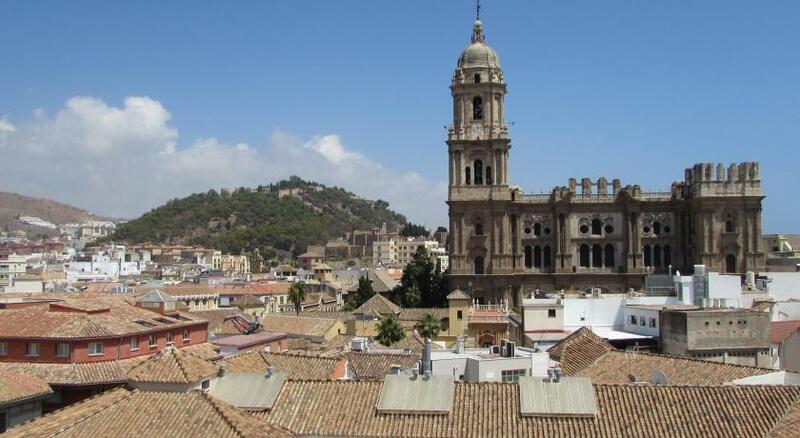 It is a short walk from Malaga Cathedral and the Alcazaba. The beach is a 15-minute walk or a short bus ride away. Rooms at Room Mate Larios all have a safe and a mini-bar. Many rooms have balconies with street views. The hotel serves a breakfast buffet until midday. There is also a rooftop bar with a cushioned seating area and city views. 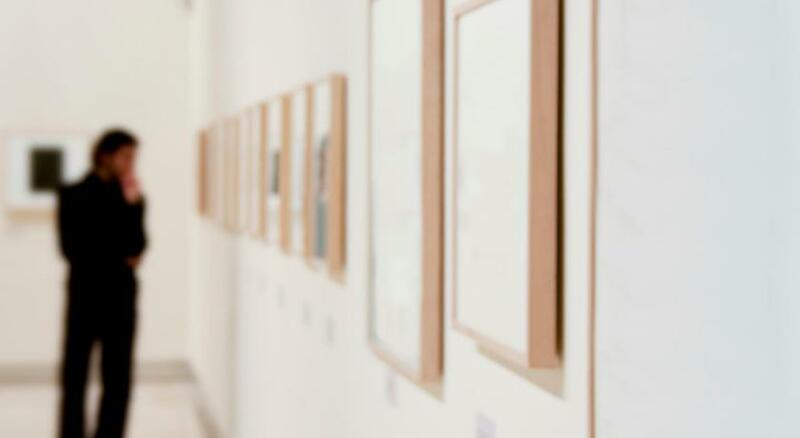 The 24-hour front desk can also arrange airport transfers, car rental or childcare. 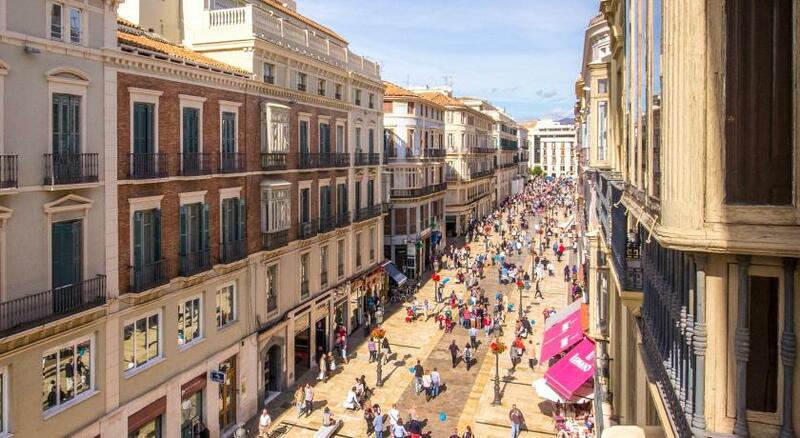 Malaga Centro is a great choice for travelers interested in tapas, restaurants and old-town exploration. 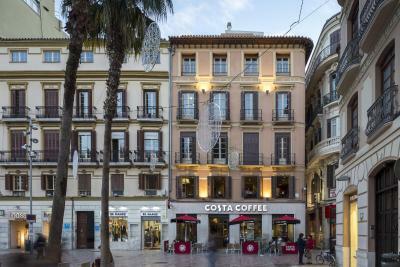 This property also has one of the top-rated locations in Málaga! Guests are happier about it compared to other properties in the area. 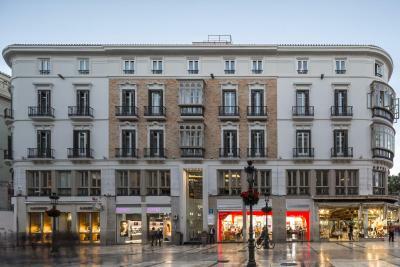 When would you like to stay at Room Mate Larios? 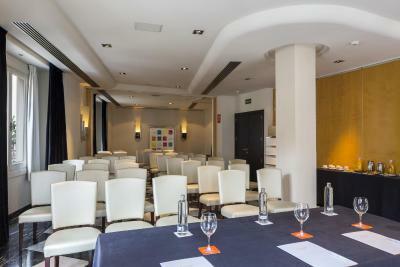 This spacious room has a lounge area and views of Calle Larios and Plaza Constitución. Some junior suites have balcony. This stylish room features a flat-screen TV and free WiFi. Offering high ceilings and classic décor, it has Art-Deco furniture including a work desk, a mini-bar and a safe. This interior-facing room features a flat-screen TV and free Wi-Fi. 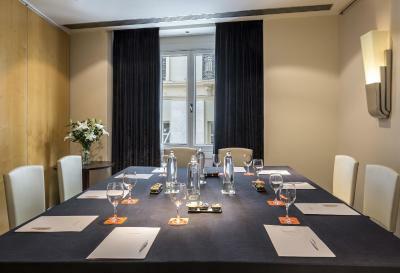 Offering high ceilings and classic décor, it has Art-Deco furniture including a work desk, a minibar and a safe. The room has a double bed or 2 single beds. Located on an annex building, this apartment is 394 feet from the hotel. It has 2 balconies, a kitchenette and dining area, air conditioning and a flat-screen satellite TV. 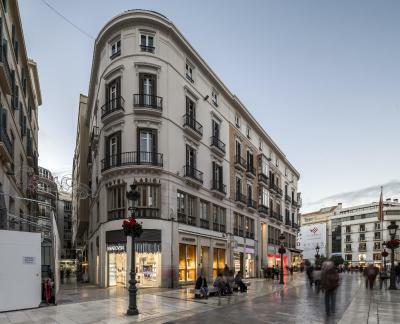 Please note that this apartment is located in a separate building, 394 feet from Room Mate Larios. 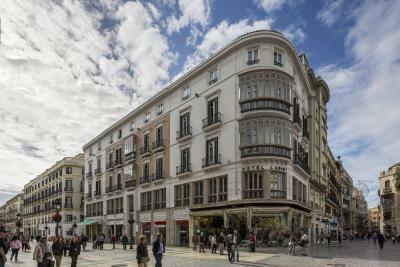 This air-conditioned apartment features 2 balconies with views of the Constitucion Square. It has one double bed, and offers a well-equipped kitchen and a bathroom with a shower. 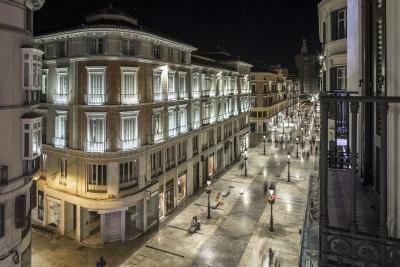 Please note that this apartment is in a separate building, 390 ft from Room Mate Larios. This spacious apartment is spread over 2 floors and has a private terrace with views of the Constitucion Square. There are 2 double bedrooms on the ground floor, and the first floor includes a well-equipped kitchen, as well as a living area with a sofa bed for 2 people and a bathroom with a shower. 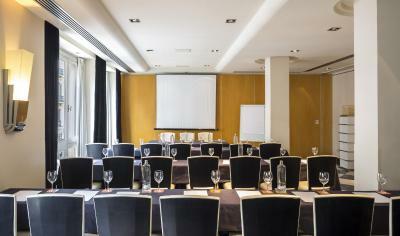 A flat-screen TV with cable channels and free Wi-Fi are available. 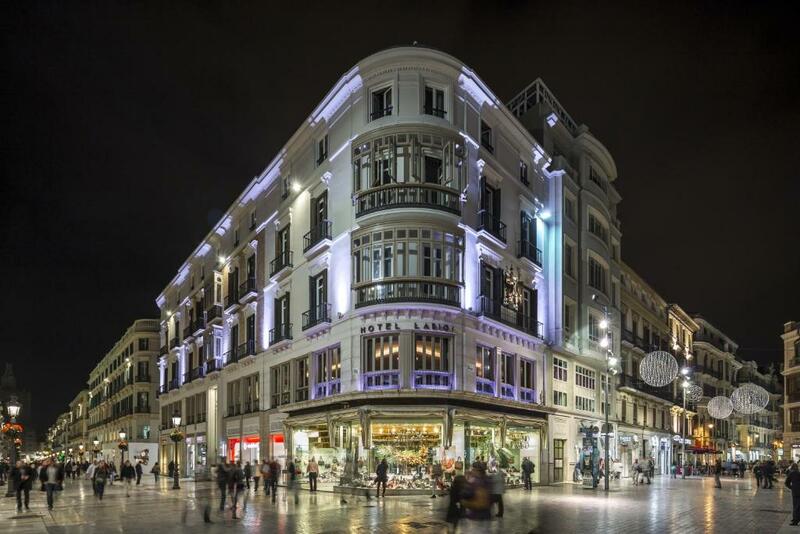 Hotel surroundings – This neighborhood is a great choice for travelers interested in tapas, restaurants and old-town exploration – Check location Excellent location – show map Guests loved walking around the neighborhood! House Rules Room Mate Larios takes special requests – add in the next step! One older child or adult is charged EUR 33 per person per night in an extra bed. Room Mate Larios accepts these cards and reserves the right to temporarily hold an amount prior to arrival. Please note that underage guests must always be accompanied by an adult. The reception is on the first floor. The stairs are narrow and no hand railings from the 1st floor stairs. Freindly staff, great location, quiet room facing backyard. Quiet even during holy week procession. Roof terrace bar was closed. One of the main reasons for booking this property. No mention of closure for this date at time of booking. The staff were brilliant. We enjoyed the breakfast. Very central. Would recommend this hotel. Shutter didn't close properly on window. No kettle in bedroom. Coffee not very good at breakfast. Staff very friendly & helpful. Room spacious. Beds very comfortable. Central situation of hotel. The staff were friendly and very efficient. . Perfect location. Fabulous roof terrace. Great views Very clean. And everything you would need was there. Lack of black tea bags at breakfast. Intelligent design and management - a notably rare combination.